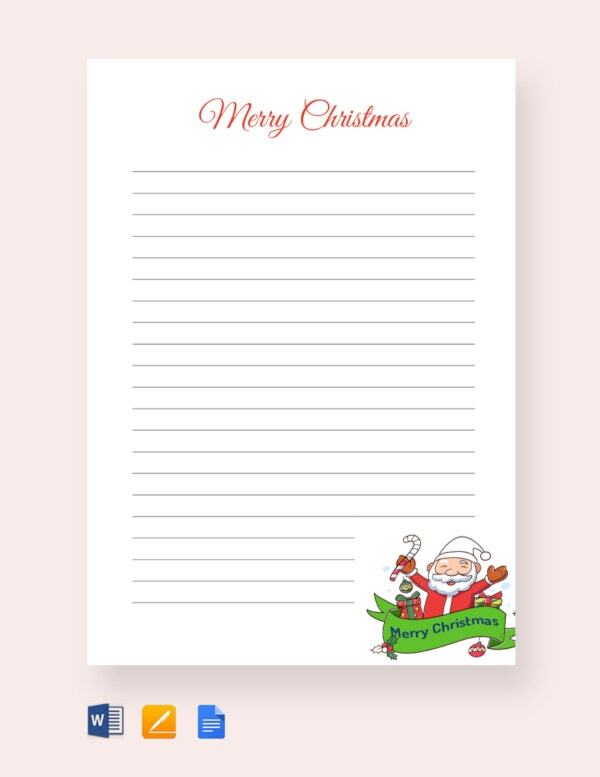 A Christmas celebration calls for warm Christmas letters, wonderful Christmas cards, envelopes and so many Christmas stationery templates. 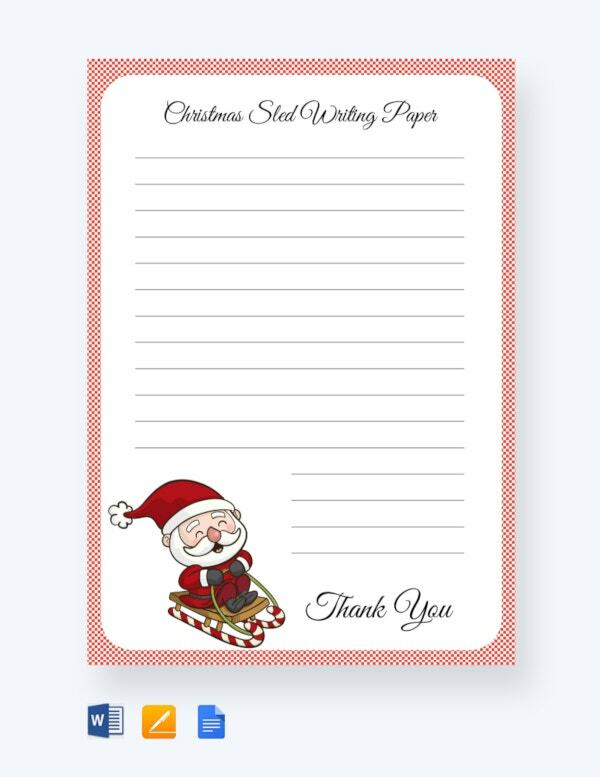 You will have them designed in bright cheerful Christmas themes such as a bright red border on one side, a smiling Santa peeping from one edge of the paper, some reindeer’s jumping in joy and so on. 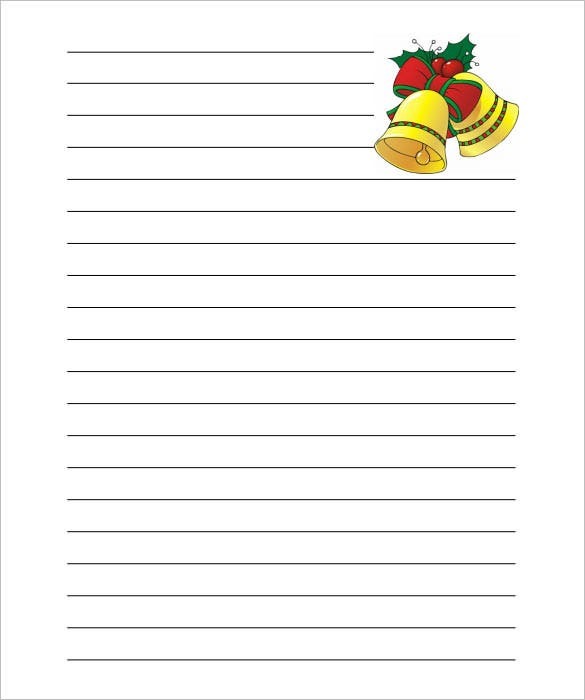 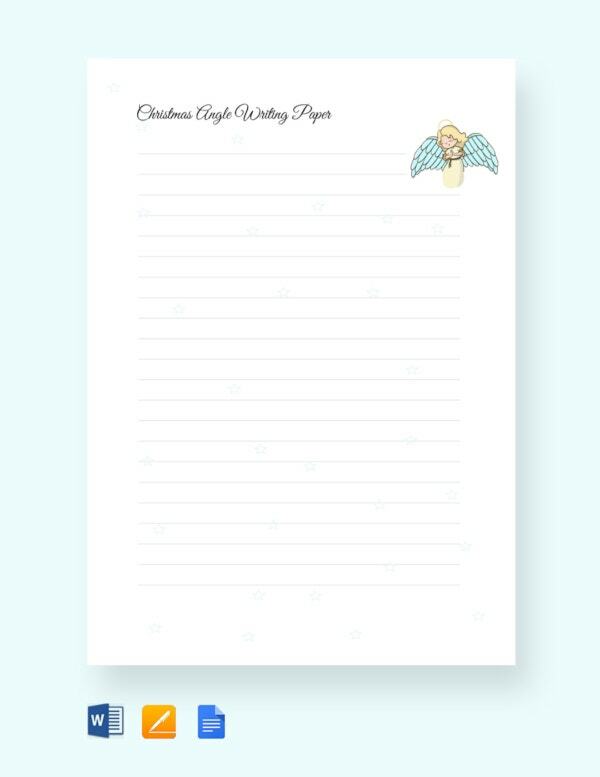 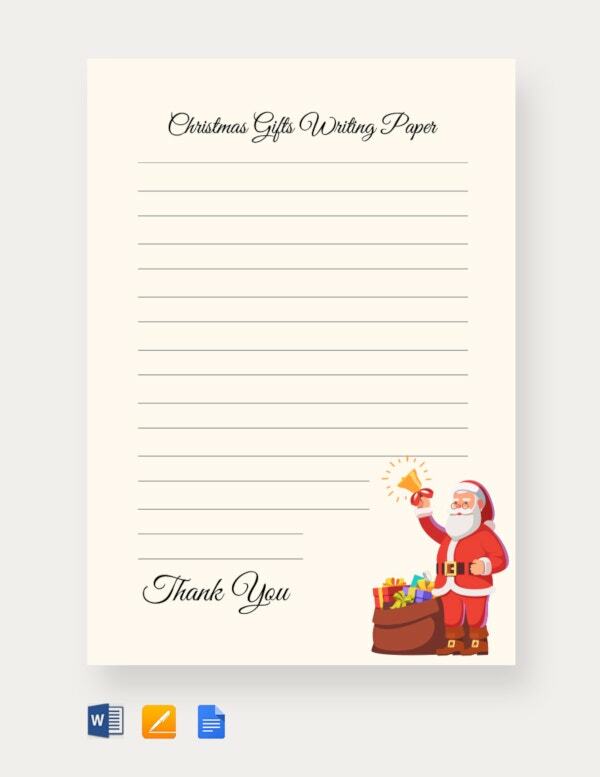 These Christmas papers are a much needed aide to convey your holiday greetings. 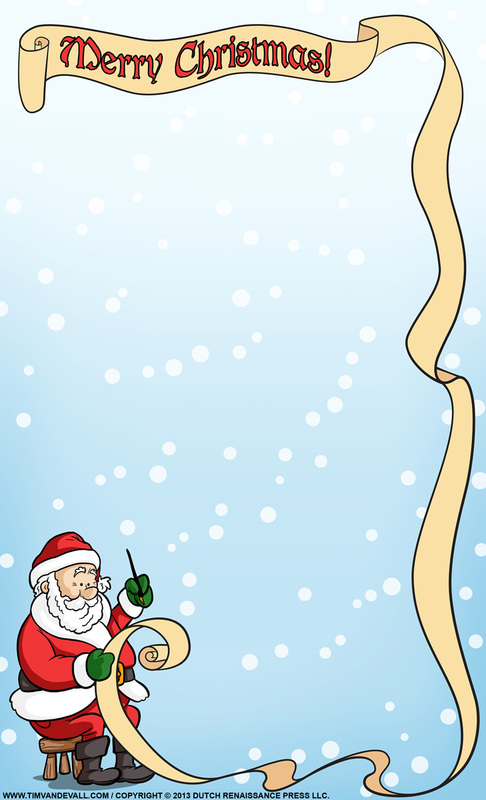 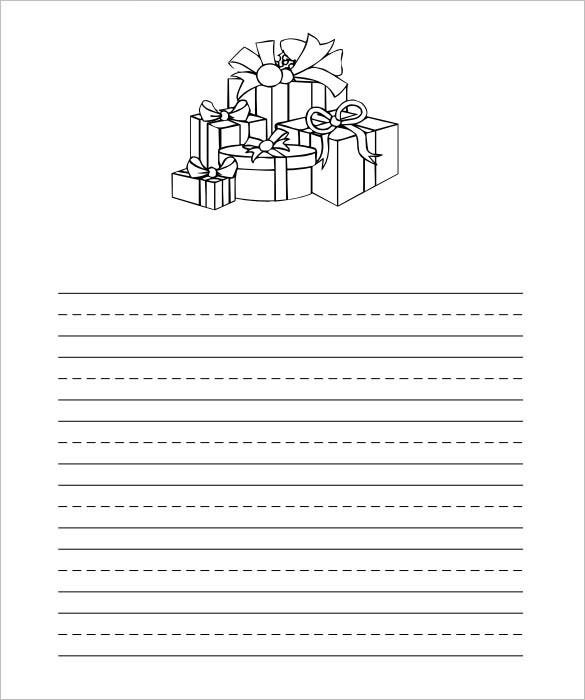 When you have a picture of Santa unfolding a long list, it definitely reminds of the amazing Christmas presents that we all wait for throughout the year. 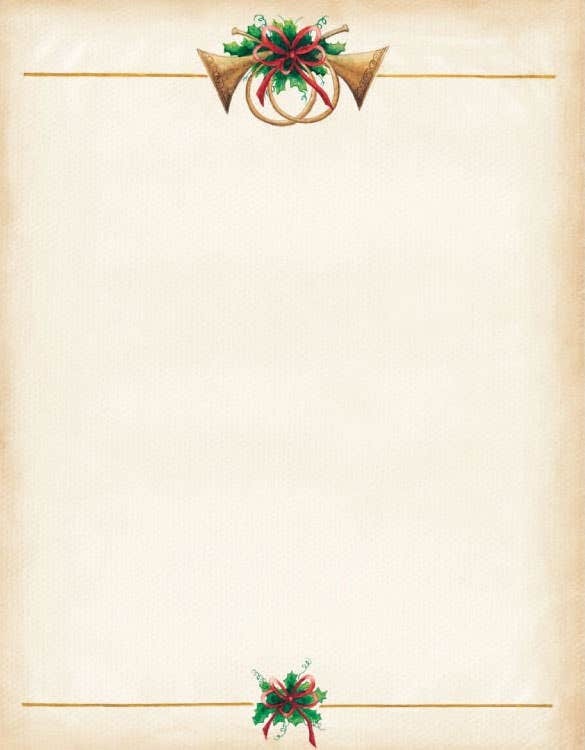 The light blue aura all over reminds of happy winter holidays. 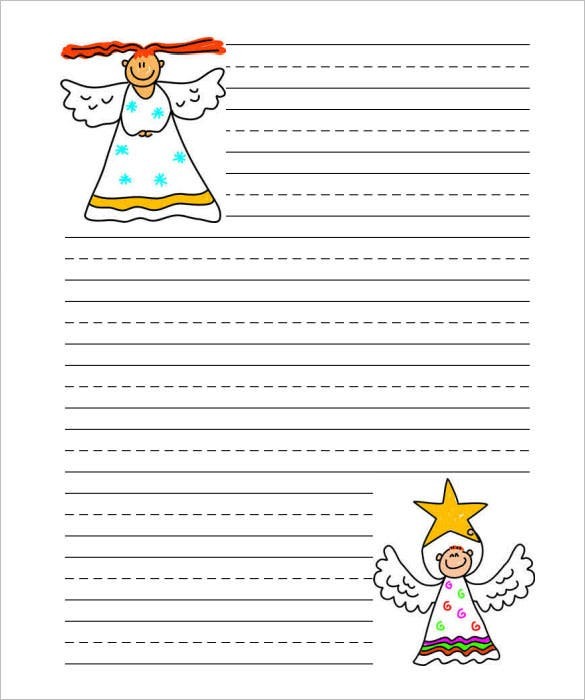 This paper handwriting template would be a great motivation for your little ones in practicing handwriting thanks to the cute angels on two corners of the fun template. 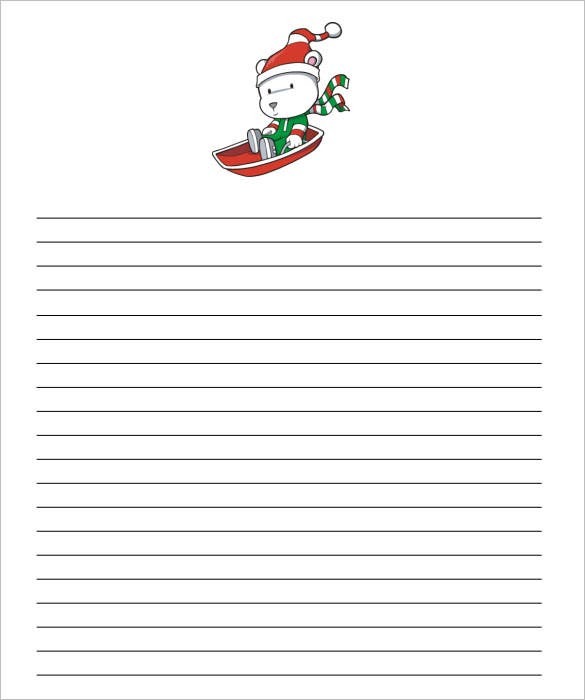 It’s simple and adorable. 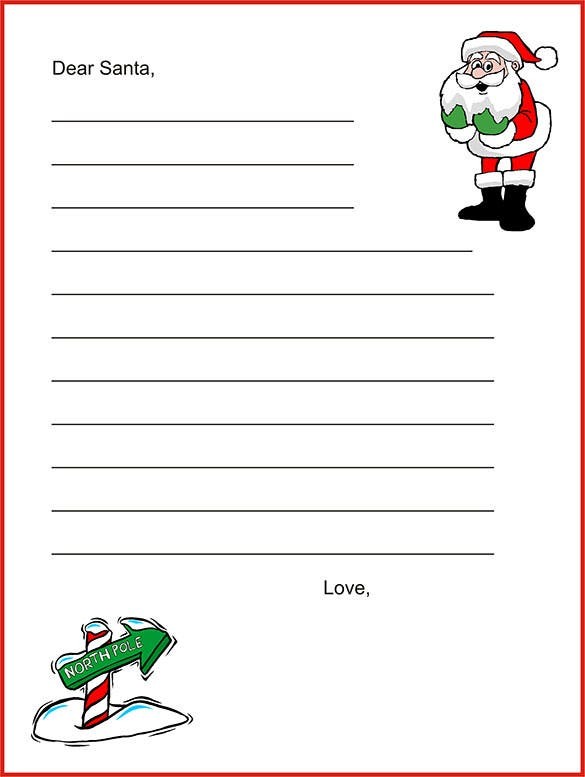 This simple Christmas letter template glows with perfect Christmas spirit thanks to the excited Santa at the top of the template and certainly the brightly decked up Christmas tree & gifts at the bottom. 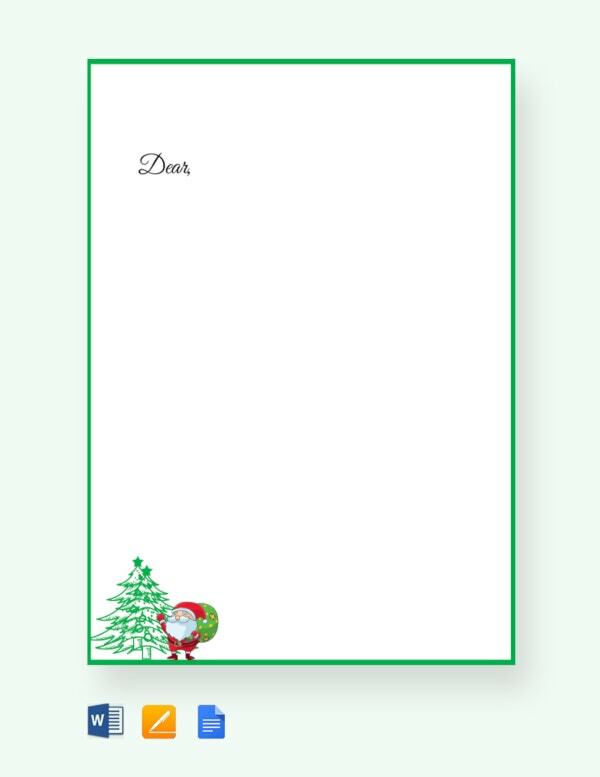 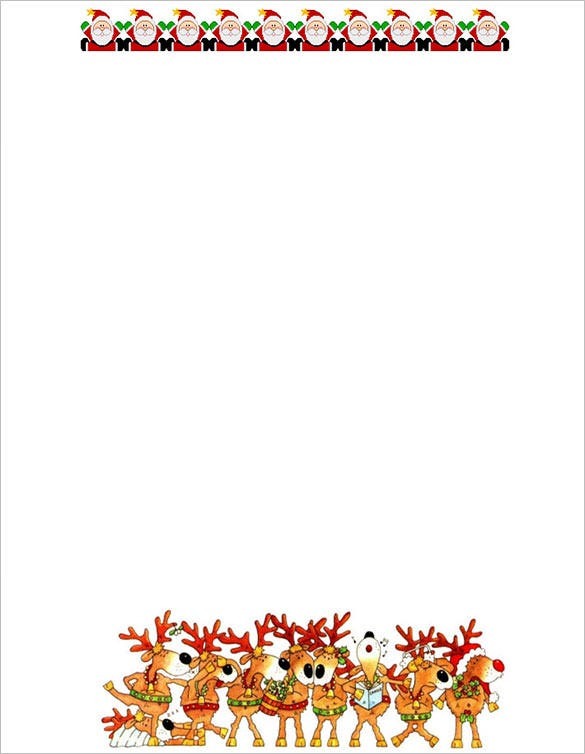 This printable Christmas template looks lovely with its bright red border that duly evokes the joy of merry Christmas and is rightly complemented by an amusing Santa and certainly the excited reindeer. 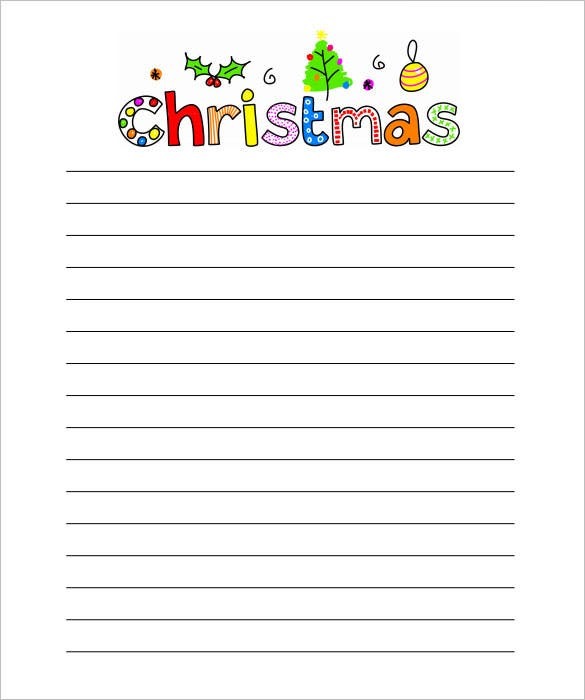 The Christmas templates are really useful for every family- whether you are planning to send a letter or a greetings card. 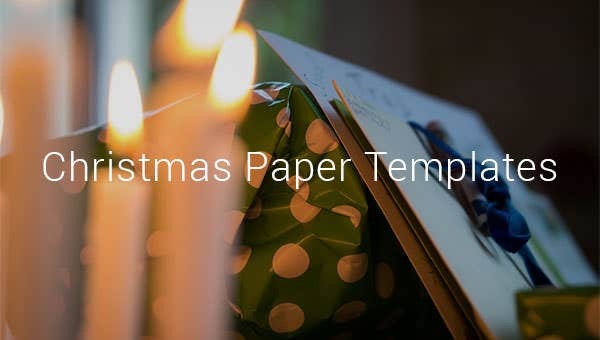 You will even get these paper templates in the form of paper snowflakes for your amazing Christmas party decoration.